Solea represents Antonio Meneses for general management. Born in Recife, Brazil, in 1957 into a family of musicians, Antonio Meneses began his cello studies at the age of ten. At 16, he met the famous Italian cellist Antonio Janigro and was asked to join Janigro’s classes in Düsseldorf and later in Stuttgart. He won the first Prize at the 1977 ARD International Competition in Munich and was awarded First Prize and Gold Medal at the 1982 Tchaikovsky Competition in Moscow. 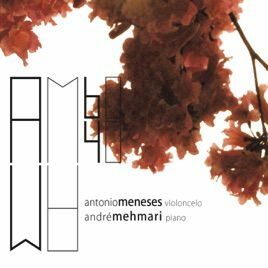 Appearing in the music capitals of Europe, the Americas and Asia, Antonio Meneses performs with most of the world’s leading orchestras (in Berlin, London, Amsterdam, Vienna, Paris, Prague, Moscow and Saint Petersburg, Munich, New York, Philadelphia Washington D.C. or Tokyo. Among the conductors with whom he has collaborated are Claudio Abbado, Gerd Albrecht, Herbert Blomstedt, Semyon Bychkov, Riccardo Chailly, Sir Andrew Davis, Charles Dutoit, Daniele Gatti, Neeme Järvi, Mariss Jansons, Herbert von Karajan, Riccardo Muti, Eiji Oue, André Previn, Mstislav Rostropovitch, Kurt Sanderling, Yuri Temirkanov or Christian Thielemann. A devoted chamber musician, Antonio Meneses was a member of the legendary Beaux Arts Trio between October 1998 and September 2008. He has collaborated with the Vermeer Quartet on tour and gives chamber music concerts and duo recitals with pianists such as Menahem Pressler and Maria João Pires. As a recording artist, Antonio Meneses has made two recordings for Deutsche Grammophon with Herbert von Karajan and the Berlin Philharmonic Orchestra (Brahms’ Double Concerto with Anne- Sophie Mutter and Richard Strauss’ Don Quixote). He has released the complete works for cello by Villa-Lobos (Auvidis France and Bis), David Popper and CPE Bach (Pan Records). For AVIE, his recordings include the Six Bach Cello Suites; the complete works for Cello and Piano by Schubert and Schumann with Gérard Wyss; a Beethoven disc with Menahem Pressler; Haydn’s Cello Concertos and the Concertino by Clovis Pereira with the Royal Northern Sinfonia, and a CD of Elgar and Gál Cello Concertos with the Royal Northern Sinfonia and Claudio Cruz, which was nominated for a Grammy Award for ‘Best Classical Instrumental Solo’. His first recording with Maria João Pires, The Wigmore Hall Recital, was released in September 2013 for Deutsche Grammophon. Recent highlights include performances with the BBC Symphony Orchestra and Maxim Vengerov at the Barbican Centre; appearances at Aldeburgh and at the Edinburgh International Festivals; recitals at Wigmore Hall; ongoing touring projects with Maria João Pires, among others. In 2015-2016, Antonio Meneses performs with the Hong Kong Sinfonietta on tour, with different orchestras in South America, among others; giving solo recitals among other in London at Wigmore Hall and recitals with piano with Maria Joao Pires in Japan and later in Europe but also at the Puerto Rico Festival. In addition to his busy concert schedule, Antonio Meneses regularly gives masterclasses in Europe (Madrid – Escuela Superior de Música Reina Sofía, Siena – Accademia Musicale Chigiana -), the Americas (Domaine Forget) and Japan (Tokyo University), as well as teaching at the Bern Conservatory since 2008. 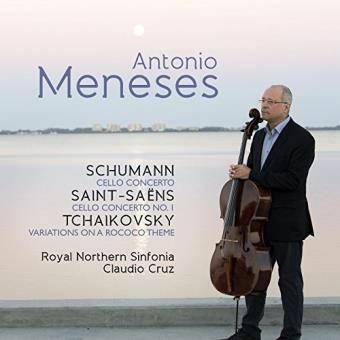 In celebration of the 35th anniversary of winning First Prize and the Gold Medal at the International Tchaikovsky Competition in Moscow, as well as his 60th birthday in August 2017, Antonio Meneses adds to his distinguished discography with three works with orchestra he has not previously recorded: Schumann’s Cello Concerto in A minor, Saint-Saëns’ Cello Concerto No. 1, and Tchaikovsky’s Variations on a Rococo Theme. 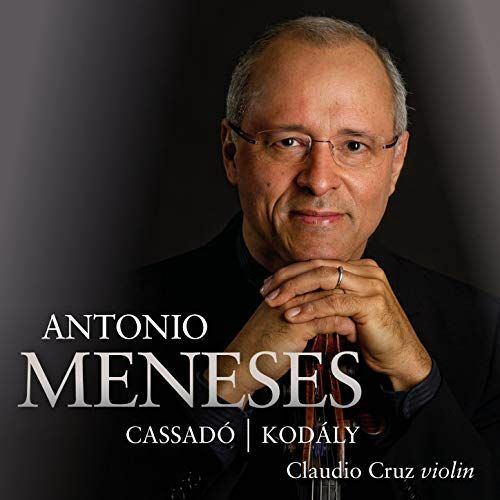 A solo spectacular of works written by cellists for cellists, Antonio Meneses’ dazzling virtuosity is on display again with the rarely recorded Suite for Solo Cello by the Spanish cellist-composer Gaspar Cassadó alongside two early works by his Hungarian contemporary Zoltán Kodály – the Duo for Violin and Cello, with violinist Claudio Cruz. 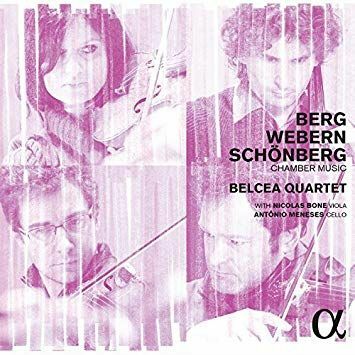 With a complete recording of the Beethoven quartets that caused a stir and enchanted concert halls everywhere, the Belcea Quartet is henceforth considered one of the finest quartets in the world. 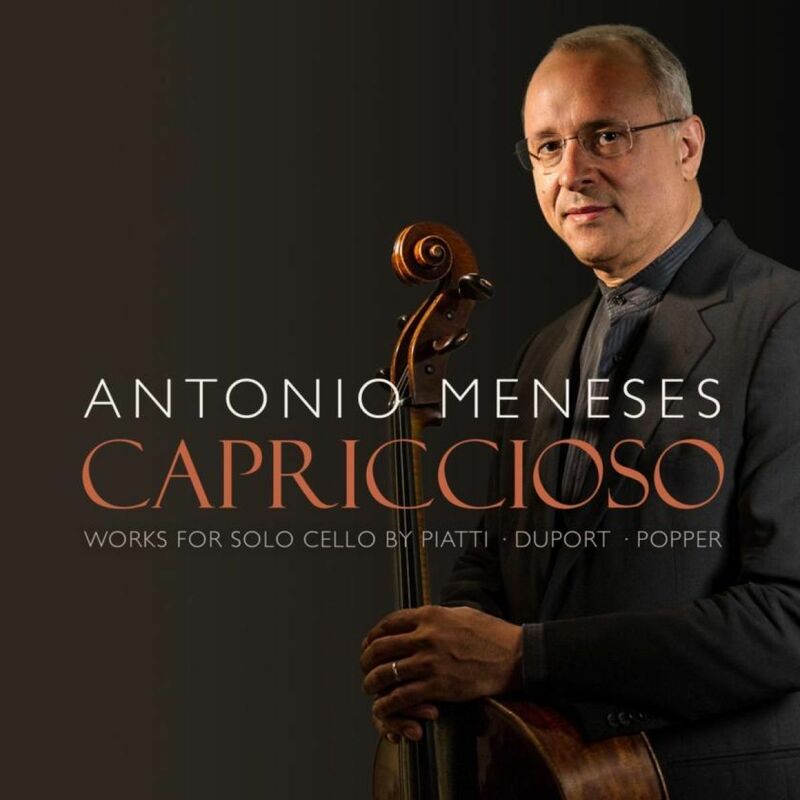 Cello virtuosity reigns on Capriccioso, the new album by Grammy-nomiated Antonio Meneses, one of today’s most esteemed cellists. He harkens back to his predecessors – a quartet of European cellists who composed dazzling works for their own instrument. At the heart of the album are 12 Caprices by 19th century Italian cellist Carlo Alfredo Piatti, as well as his Capriccio sopra un tema della Niobe Di Pacini.